The sell-off, which lost some strength toward the end of the day, followed a surprisingly weak jobs report and more signs that the global economy is hitting the brakes. On Friday a report showed Chinese exports plunged 20 percent last month, far more than economists expected. On Thursday, Europe’s central bank said it was doing a policy reversal and restoring measures to shore up that region’s economy. Energy stocks led the market’s slide as crude oil prices declined. Health care companies and retailers also pulled the market lower. Most homebuilders rose following a big jump in January housing starts. “We’ve had a very solid run and there are investors who are going to be taking a little bit of money off the table,” Watkins said. The market’s momentum has stalled this week after enjoying a sharp bounce back at the start of this year. This week’s losses for the S&P 500 are the worst since December, but not as severe as they were then, when worries were peaking about a slowing global economy and that interest rates may rise too quickly. Since then, the Federal Reserve helped calm some of the worries by pledging to be patient in raising rates. The OECD said economic prospects are weaker in nearly all the countries that make up the G20 than previously expected, and it cited a slowdown in trade and global manufacturing, among other reasons. The United States and China have been locked in a particularly tense trade dispute, though the countries say they’re making progress in negotiations. 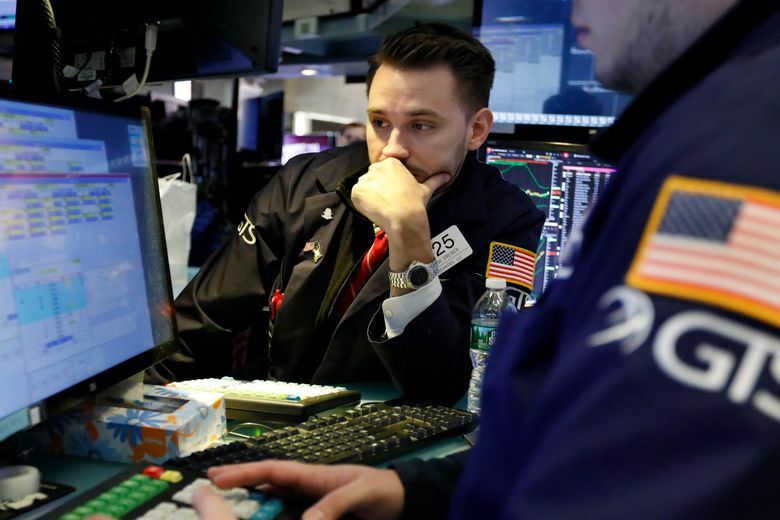 Analysts are debating whether the U.S. stock market’s latest moves are the last gasps for the longest bull market on record for U.S. stocks, which began 10 years ago this weekend, or just the latest challenge for it muddle through. The strong U.S. labor market has been a major pillar of support for the stock market’s run in recent years, but Friday’s jobs report was surprisingly bad. Employers added just 20,000 jobs last month, when economists were expecting something closer to 180,000. Last month’s job growth was also a sharp slowdown from January’s 311,000, a number that the government revised higher on Friday. A slower global economy wouldn’t need as much oil, and the price of crude sank Friday along with expectations for demand. Benchmark U.S. crude fell 1 percent to settle at $56.07 per barrel. Brent crude, the international standard, lost 0.8 percent to close at $65.74 per barrel. Also hurting the sector was a decision by Norway’s $1 trillion wealth fund to dump shares in some oil and gas companies. The move would exclude companies that operate solely in exploration or production, but it will continue to own the biggest companies in the energy industry. The Commerce Department said housing starts jumped 18.6 percent in January, as builders ramped up construction of single-family houses to the fastest pace in eight months. The rebound after December’s plunge bodes well for the new-home market heading into the spring homebuying season. The CEO issued a puzzling statement saying, “We are truly sorry for the results stated above,” and blamed the weak performance on unspecified “injustice.” The stock slumped 14.6 percent. Costco Wholesale bucked Wall Street’s downward trend, climbing 5.1 percent for the biggest gain among stocks in the S&P 500. The warehouse club operator reported profit growth that was far stronger than analysts expected.